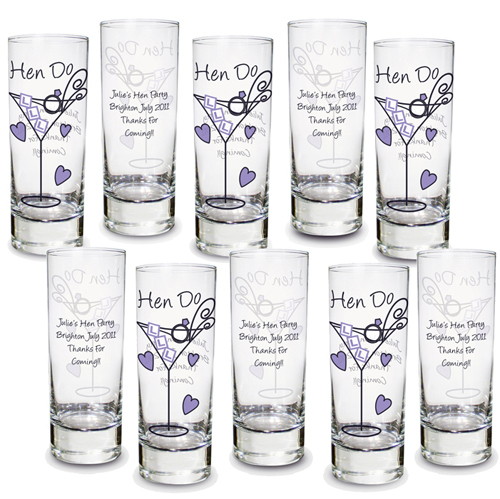 This funky 10 pack of shot glasses is a must for all hen do's!! Personalise the shot glasses with any message over 5 lines and up to 20 characters per line. Due to the nature of this product please note colours may vary and can achieve different results from the images on screen; design has a frosted appearance on the outside of the glass and will appear differently on the inside. However we strive to make our colours as accurate as possible before being despatched.